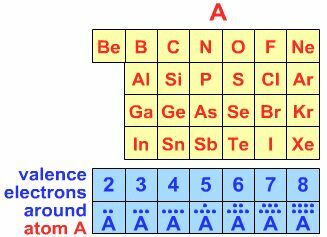 This page is concerned with the geometries of ligands about single atomic centres, and to help this understanding there are a series of drills associated with this page to test your knowledge. 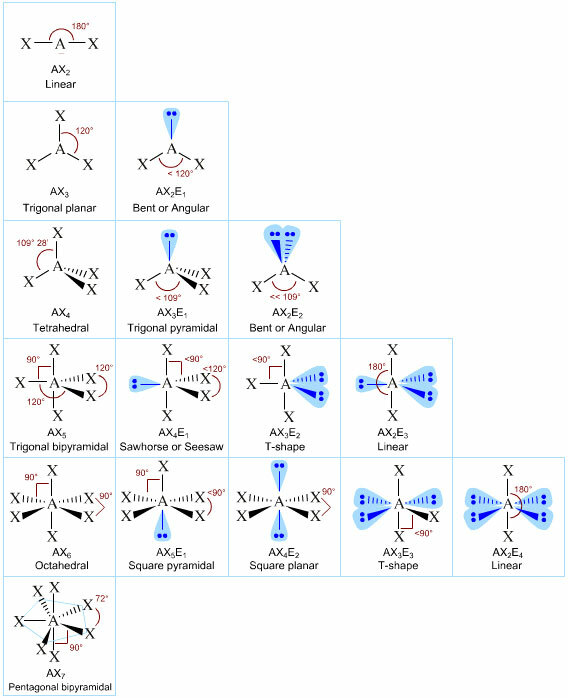 Searches for real chemical entities based on VSEPR geometry can be made using the web based Chemical Thesaurus reaction chemistry database [also by meta-synthesis]. The CoolMolecules Molecular Structure Explorer website classifies molecules by the shape/geometry of the central atom, and all structures are all obtained from experimental data. Searches on the extensive database can be made by atom, shape, experimental method and molecules can be rotated. Highly recommended. Carbon, for example has four valence electrons, nitrogen 5, etc. 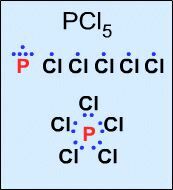 Third, construct a valid Lewis structure of the molecule in question showing all of the bonds and all of the lone pairs (nonbonded pairs) of electrons. If the structure is a molecular ion, add one valence electron for each negative charge and remove one valence electron for each positive charge. 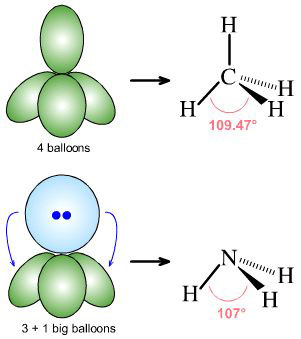 Methane, CH4, ammonia, NH3, the ammonium ion, [NH4]+ and the nitranion (amide ion), [NH2], [above] all have eight electrons in the valence shell of the central atom and all have a total coordination number of 4. Fifth, the overall geometry of the atomic centre is determined by the mutual repulsion between the electron pairs of the total coordination number. 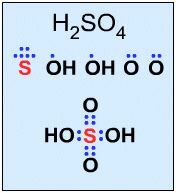 For example, the oxygen of water has two bonded electron pairs (green) and two nonbonded "lone" electron pairs (blue) giving a total VSEPR coordination number of 4. But the geometry is defined by the relationship between the H-O-H atoms and water is said to be "bent" or "angular" shape of 104.5°. 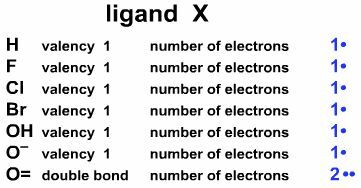 American General Chemistry textbooks – but for some reasom not British ones – adopt the excellent AXmEn system, where A is the central atom, m the number of ligands X, and n the number of nonbonded lone-pairs of electrons, E, about the central atom.